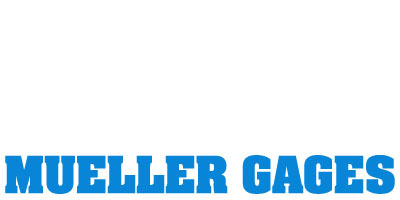 Mueller Gages is family owned business manufacturing a special line of precision dimensional inspection gages at our facility in San Gabriel, California. Our first product was introduced in 1949, and was made in the garage of my grandfather, Kurt H. Mueller, who immigrated here in 1930, after serving his apprenticeship in Germany. A tradition of quality, creativity, and excellent customer service has enabled our success. I invite you to try our gages and accessories. We guarantee your satisfaction through a generous return policy, in the unlikely event that our product does not meet your needs. Our products are manufactured to the highest quality standards, as evidenced by our Certification and Registration by NSF-ISR to ISO 9001:1994 Standards. By our company meeting the stringent standards of ISO 9000, our customers enjoy added confidence in our quality management and assurance systems. We provide products and services which meet their expectations.